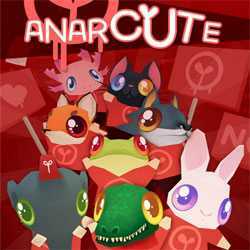 Anarcute is an Action game for PC published by Plug In Digital in 2016. The dark times in the world of animals have arrived now! The Brainwash Patrol is dominating this world. If you don’t act against the invaders, None of the animals will survive. So, You should be a real hero.